Work goes on and FC Barcelona continued training this Friday for the visit to Deportivo’s Riazor stadium (Sunday at 8.45pm CET), where they will have the chance to clinch the club’s 25th Liga title – although they may even be confirmed champions before the game kicks off if other results go their way. 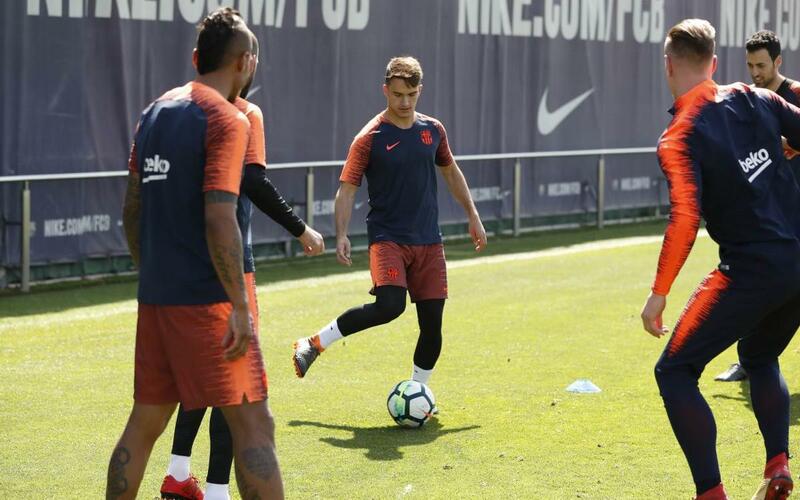 Ernesto Valverde and all 22 of his charges took to the Tito Vilanova on a bright and sunny morning, after which Andrés Iniesta made his way to the pressroom to address the media. Click on the video for highlights of the Friday workout.